The editor has made it a feature article with some pictures. The review includes a brief account of the history of Conductive Education’s discovery by the West, particularly the UK and an overview of the book’s contents. 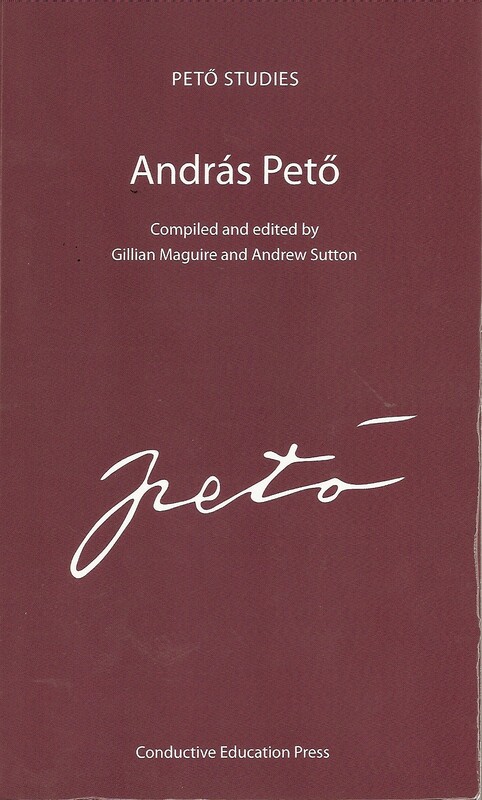 The editors of András Pető have produced a compilation consisting of memories of colleagues and others who knew him at different times, notes and letters written by Pető himself, obituaries following his death in 1967 and a selection of overviews. 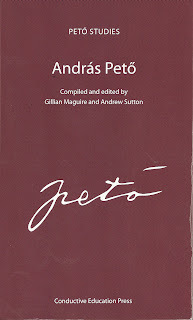 What emerges cannot – even in the editors’ opinion – be regarded as clear-cut or in any way final in terms of fully understanding Pető and his thinking. Nevertheless, certain themes shine through. Its editors, who are also its compilers, should be congratulated for giving the wider world an opportunity to ponder about the enigma known as András Pető, who, without ever fully explaining how, positively affected the lives of thousands of people who otherwise were considered “hopeless cases”. A direct link to this can also be found on the right hand side of this blog, with the other titles from Conductive Education Press. Just click on the picture of the cover. If all those who have read it – and the numbers are growing fast – please let us know what they think of it, as feedback is very welcome!